I’ve received another science book to review! 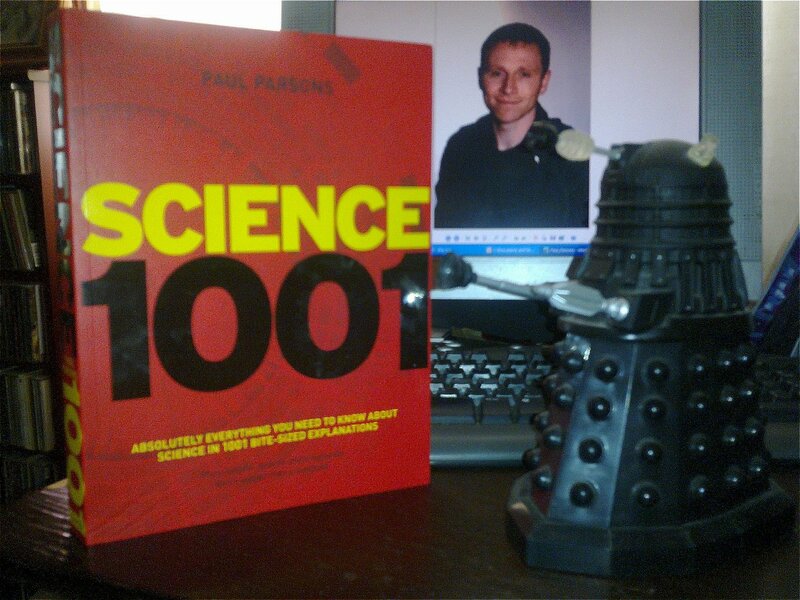 This time the book in question is “Science 1001” by Dr Paul Parsons. If that name rings a bell it’s because you’re either a science enthusiast, or a Dr Who fan, or both (and it is probably both, or you wouldn’t be reading my blog, let’s face it! 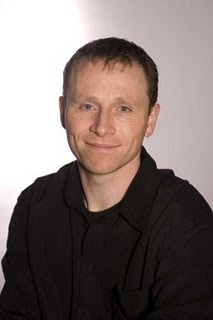 ), because Dr Parsons is a former editor of the very popular monthly ‘popular science’ magazine FOCUS and is also the author of “The Science of Dr Who”. But I know, I know – book… cover… don’t judge, etc, it’s what’s inside that counts, and inside the book is absolutely crammed full of fascinating facts and information about all aspects and fields of science, from Astronomy to Zoology, with everything inbetween. The 1001 “bite sized explanations” are BIG paragraphs of info, more like mouthfuls than bites, to be honest, but that’s fine, because the writing is superb, and the explanations are detailed and full. Many of the entries are illustrated, with artwork or photos, all in black and white, no colour here. Again, that’s ok, because colour can be a bit distracting in books like this – and colour would definitely have made it look, and feel, more like an encyclopedia. Being an astronomer and space exploration junkie, obviously I flicked through the book right to the “Space” section first, happily passing ‘Physics’, ‘Chemistry’, ‘Biology’ and ‘The Earth’ along the way. The book provides a good overall treatment of ‘space’, covering the usual suspect topics such as the solar system, stars and the like, and will be a great help for anyone, of any age, getting stuck with homework or a project of some sort involving ‘space’. I enjoyed flicking through the other sections too. Not all of them equally, I’ll admit – “Chemistry” doesn’t do much for me – too many bad, bad memories of endless chemistry lessons at school, endured in deep sigh silence, baffled and bored by bad teachers and hating the stink from the bunsen burners – and even though I wanted to, for the sake of this review, I didn’t get very far through that particular section, but I’m sure readers into, or wanting to know more about, chemistry will enjoy it. On the other hand, I became quite engrossed in the “Biology” section, which was a big surprise as it’s not high up my list of favourite subjects. That I read it right through shows how good and engaging the author’s writing is. Dr Parson’s writing style is refreshingly and surprisingly informal, and by that I don’t mean I expected it to be formal because of the author, but because usually books of this sort are written in a very cold, distant style that is soooooooo dull, dreary and boring they’re like a mental anaesthetic. Each entry in “Science 1001” is more like a short chat with the author, like you’d rung him up and asked him to explain something to you over the phone, and reading it is really very enjoyable. This is a usefeul reference book, a great resource to dip into if you want a concise, clear explanation of a term, theory or topic you’ve come across and know little or nothing about. But browsing through the book is a great way of stumbling upon and learning about fields or areas of science you previously knew absolutely nothing about. For example, I had No Idea that “Farmscrapers” (vertical ‘skyscraper farms’, page 375) are actually being planned, and weren’t just figments of JJ Abrams’ fevered imagination (we see them on the horizon at the start of the excellent Star Trek reboot movie – yes, that’s what those weird, angular, Chris Foss-type buildings are…!) Similarly, the theory of “Frame dragging” (rotating objects drag space around them, like a spoon in treacle, affecting other objects nearby) was a new one to me. And the book is studded with many other big shiny nuggets of “I had no idea!” At least, it was for me; other readers, I’m sure, will know about those things. But for the average reader wanting a good “Starter Guide” to modern science, this book is going to be very useful. To summarise, this is a really good, back-to-basics science book that does exactly what it says on the cover – provides the reader with 1001 mini-essays about science. Buy or borrow it and you WILL learn something new, I promise. In fact, you won’t be able to help yourself, because once you start flicking through it you won’t want to stop, you’ll keep looking for entries explaining things you already know, or think you know, and inbetween them you’ll come across many “Well, I didn’t know that!” and “Ah, NOW I get it!” entries, too. I’ll keep an eye out for that in The Works. I recently bought this book’s Mathematical brother ‘Maths 1001’ from there and have been enthralled in it since. Wow, amazing weblog layout! How lengthy have you ever been blogging for? you make running a blog glance easy. The entire glance of your site is excellent, as smartly as the content material! Thank you for another informative blog. Where else may just I am getting that kind of information written in such a perfect means? I’ve a challenge that I am simply now operating on, and I have been on the look out for such info.